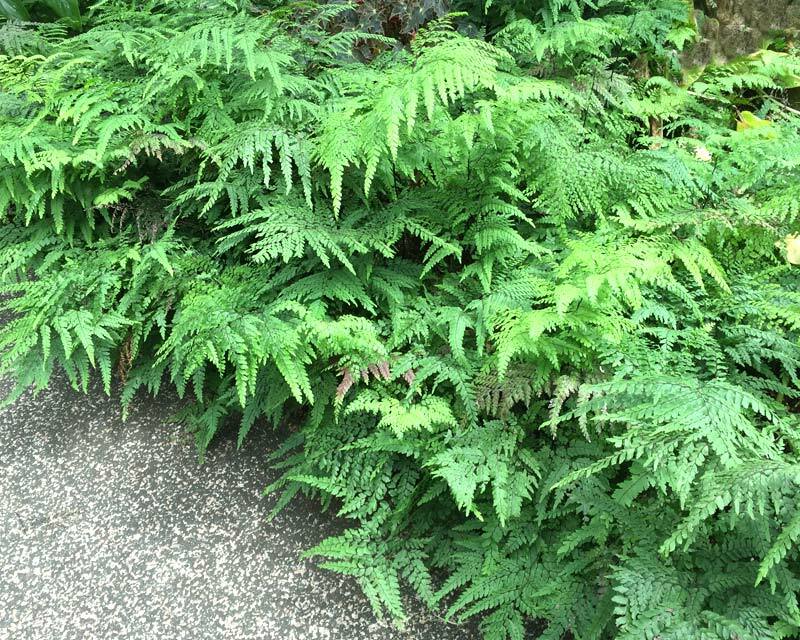 Adiantum formosum or The Giant Maidenhair Fern is a very attractive and vigorous fern that is delicate in appearance but incredibly tough and hardy if it has enough moisture. 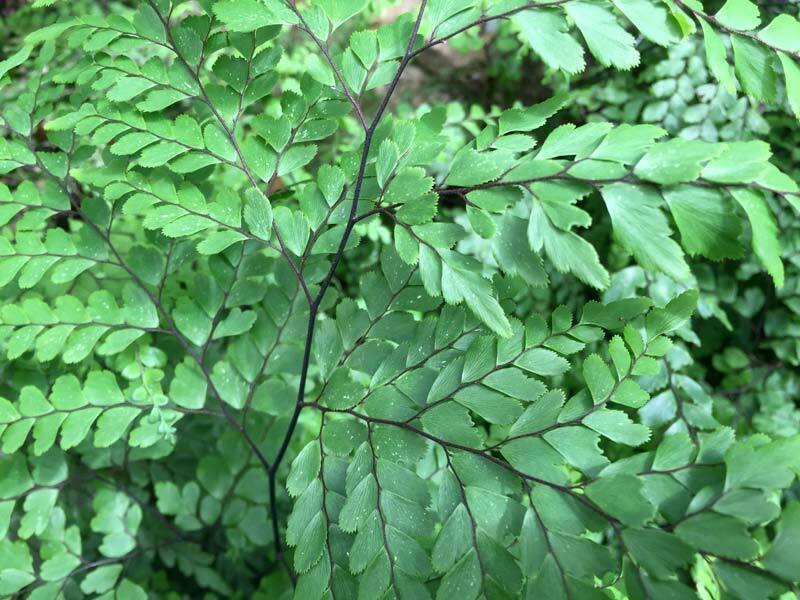 It has long reaching and unusually deep rhizomes and produces dark green foliage of a triangular shape from black, shiny stems. Fronds often emerge as pale green and then darken with age. They grow naturally in rain forests and eucalypt forest in Queensland, NSW and New Zealand and are easily cultivated in domestic gardens. 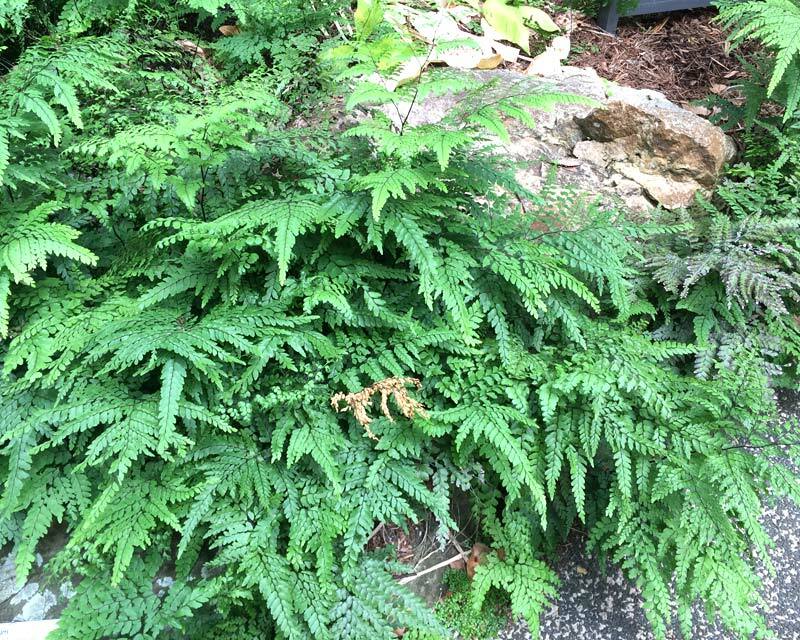 They will appear to go dormant in winter then burst back to active growth again in spring. Soil: Suitable for large tubs filled with acidic soils or in sheltered and shady areas. Maintenance: Requires plenty of water and high humidity but otherwise a low maintenance plant. 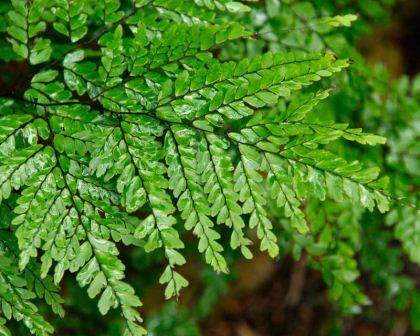 Other Species: 200 species in the Adiantum genus that are found in most continents of the world. Comments: The species name 'formosus' is the Latin word for "handsome".